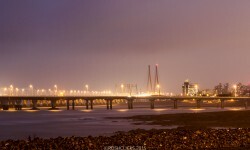 The Centre recently said the Navi Mumbai International Airport, which will act as the aerial bypass to ease traffic at the Chhatrapati Shivaji International Airport in Mumbai, may start operations by December 2019. 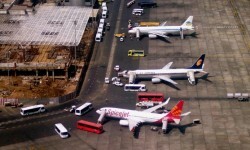 Minister of State for Civil Aviation Jayant Sinha said all major clearances for the airport had been obtained, including acquisition of 160 hectares of land. An internal report by the Haryana Urban Development Authority (Huda) revealed that more than 250 acres of land that was acquired by the development authority in different sectors of the city has been encroached upon in the past one year. 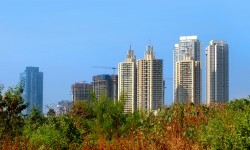 The total market value of this land is estimated to be around Rs 2,000 crore. Of the Rs 5,108 crore that is expected to be spent on the Indore Smart City project, nearly Rs 200 crore are expected to be spent this financial year. Indore Municipal Corporation (IMC) Commissioner Manish Singh said the money would be spent on roads, water supply, sewerage and water recycling schemes. Noida realtors' association Credai has appealed to Uttar Pradesh Chief Minister Akhilesh Yadav to stop the proposed increase of Noida circle rates. Home buyers, too, are planning to take the matter to streets to protest the government decision.